In the past two decades, MP3 completely changed the way we listened music, and let us shift from the bulky walkmans to the compact digital music gadgets like iPods. 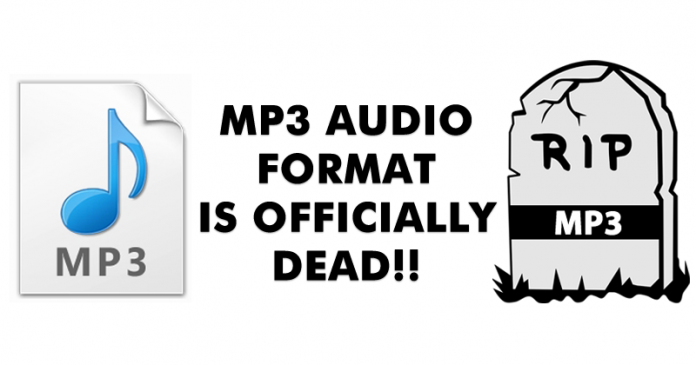 But, now, MP3, the digital audio encoding format has been officially declared “dead” by the people who actually invented it. MP3 has been widely credited for transforming the music world, and allowing digital audio to be considerably compressed without affecting the quality of the sound. But, recently, Fraunhofer Institute, which owned the MP3, officially terminated its licensing program for the different MP3-related patents. The reason signified by the Fraunhofer Institute is that the new and better audio formats have made the MP3 obsolete. In a statement released by the Fraunhofer Institute, said that MP3 became the de-facto audio codec, and a standard for downloading the music and video on the mobile phones. But, now, most of the media services, such as TV, Radio broadcasting and live streaming are using the contemporary ISO-MPEG codecs. They also said that it’s not like that, anyone would miss the MP3, but, its contribution to the tech industry cannot be overstated. While MP3 became more popular after the iPod, but, even before its introduction, the MP3 used to be a format of popular choice for file sharing. In fact, many music CDs used MP3 for storing music. While there are many new audio formats which are being increasingly used by the companies for the benefits that they offer over MP3. These formats also offer much more efficient compression and functionality. AAC is going to replace MP3, and thus, is regarded as the successor of MP3. It certainly offers better audio quality as compared to MP3, but uses same bit rate as other audio codecs. The best thing about the AAC is that it only requires a fraction of the bandwidth. AAC offers higher coding as well as higher flexibility than MP3. Popular devices like Sony PSP, Sony PS3, Apple iPod and various phones are already supporting it. AAC is a better option of saving money and bandwidth than MP3. While the more is highly symbolic, but, if you are thinking that you won’t be able to use the MP3 now, then it’s not correct. It would still be available. The only thing that’s going to happen that there won’t be any new support or bug fixes for the format.